This cigar frequently gets called “Cubanesque” and I suppose that’s correct but really what makes it stand out is the excellent balance. 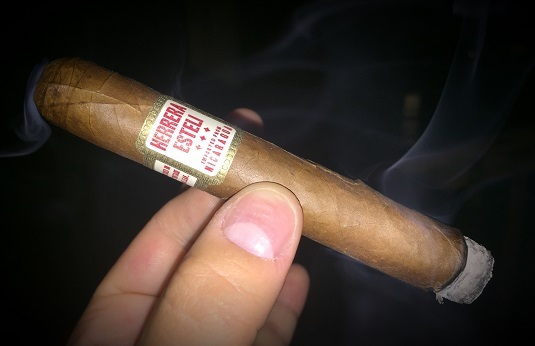 The original Herrera Estelí (the line has since been expanded) was blended by Willy Herrera using Ecuadorian, Honduran, and Nicaraguan tobaccos. It has a complex, medium-bodied profile with cedar and cafe-au-lait flavors and hints of pepper and honey. With excellent combustion, I’m reminded that whenever I return to try this blend my appreciation for it is reinforced.